Mel has excellent knowledge of the local area and rental market! She provided valuable input at various stages and was proactive in her approach. A tenant was sourced far quicker than I expected & the service has exceeded my expectations! I would highly recommend! We moved into our new house a few weeks ago and I actually can't believe how easy the whole selling process was. I would 100% recommend Glow Homes and Mel was very attentive and informative every step of the way - I cannot thank Glow enough for their expertise and professionalism. Thank you guys! I transferred my rental property to Glow in September and I have to say the service I've had is commendable!! Great to see a new business in the local area. Best of luck! Melanie is a true professional and extremely knowledgable, helpful and thorough with what she does. She has gone above and beyond the call of duty to get my flat sold after being let down by another local estate agent and I could not be happier with the service provided. 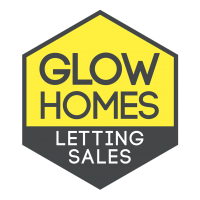 Excellent 5 Star Service from Glow Homes Lettings and Sales. Melanie and Lesley sold my property within two days, achieving the best price possible. Throughout the whole process, they ensured everything went smoothly and I was kept well informed at all stages of the sale, they could not do enough to help you, as far as Estate Agents are concerned they are in a League of their own. I would highly recommend anyone looking to Rent or Sell their property to contact this Agent.